Nobel prize-winning economist Harry Markowitz is famously attributed with saying that the only “free lunch” in investing is diversification. By diversifying, you seek to maximize potential returns for a given amount of risk. The Structured strategies are grounded in the Global Market Portfolio and are among the most broadly diversified portfolios in the market. Structured is based on research which shows that investing in assets with low correlations aims to reduce portfolio risk without sacrificing long-term returns. Research by Nobel prize-winning economists William Sharpe2 and Eugene Fama3 suggests that it’s almost impossible to consistently beat the market. That’s why the Structured strategies follow a disciplined and passive approach to investing. Regardless of how markets are performing in the short run, Structured stays invested, ready for long-term growth and adheres to the principle of long-term, low-cost, passive investing. A key weakness in most investment strategies is their high fees, which drag down portfolio returns. 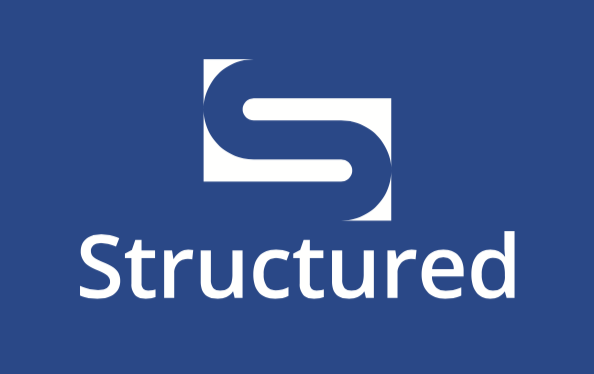 Structured is built using inexpensive, highly-liquid ETFs to minimize costs. Cost is one of the single biggest factors impacting investment performance that can be controlled, and Structured aims to keep costs down without sacrificing quality. Starting from an approximation of the Global Market Portfolio, Structured is offered in six strategies that are modified to accommodate varying levels of risk tolerance and geographic preferences. Structured strategies follow a passive investing philosophy, but the investment portfolios are not static. As markets and asset-class capitalizations evolve and new low-cost, high-quality investment vehicles emerge, we re-evaluate the assumptions and trade-offs that drive the construction of the strategies to continuously provide investors with a very cost-effective suite of core investment strategies. Each strategy is built using 8 to 12 exchange-traded funds (ETFs) that track key asset classes around the world. These funds are selected for their low cost, liquidity, and close tracking of the asset classes they represent. The SF Portfolio Strategies | Structured gives investors access to cost-efficient investment strategies that aim to reflect the exposures of the Global Market Portfolio and higher-risk portfolios along the investment envelope.